We are a group of parents and professionals dedicated to serving those on the autism spectrum and their families. ASRC looks forward to serving these families and being the place where they take their next step. Here is the new flyer, for those who asked us to post it for them to print. A few pictures from this years autism walk, check us out on facebook for more pictures and videos! 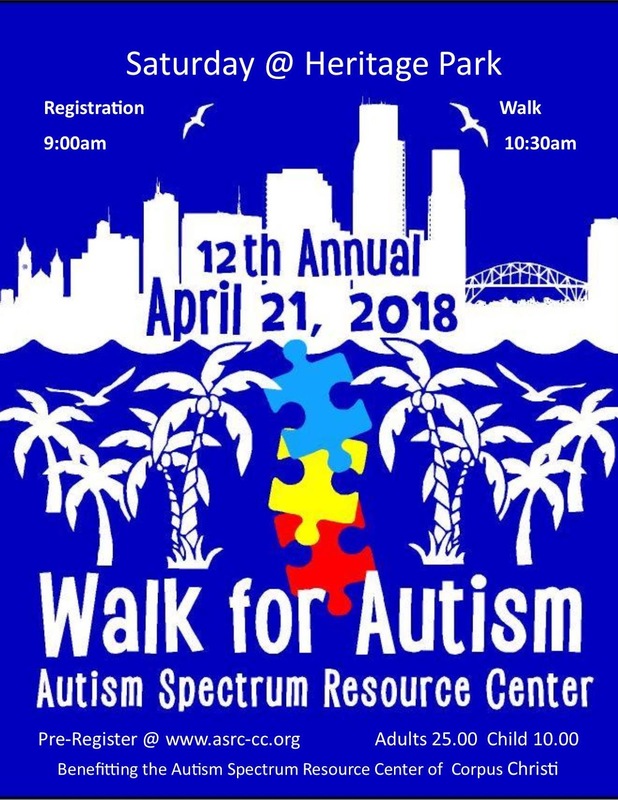 On line Registration for the Autism Walk, the donation is 25 for adults and 10 for youth. The price includes the t-shirt and activities and will be held April 21st at Heritage Park. We will have a shirt pick up a week prior to the event at 3440 S. Alameda, Corpus Christi, TX. 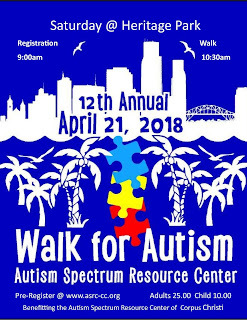 If you are needing an additional size shirt for the walk, please call our office at 851-5111. Face Painting from last years walk, sign up for this years walk down below! The Art Center of Corpus Christi has been gracious for he past 5 years to display Art work for those who have Autism. 8. Optional, information of ASD, when diagnosed, how Art has impacted life? "The most important thing people did for me was to expose me to new things." The Autism Spectrum Resource Center has a parents resource library with books available to check out for all ages. There are books for children, teenagers, young adults, parents and educators, as well as popular dvds; all on autism spectrum disorders. Housed within Spectrum Counseling, please call 361) 851-5111 for more information. 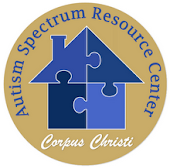 Autism Spectrum Resource Center is a nonprofit agency set up to provide services for those on the autism spectrum.